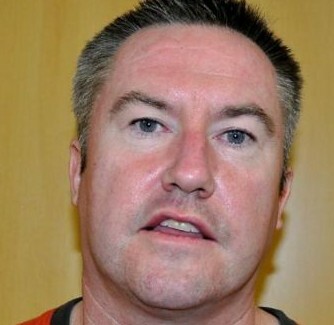 Home Posts tagged "Michael Lynn"
The much anticipated Michael Lynn Extradition from Brazil is now imminent. 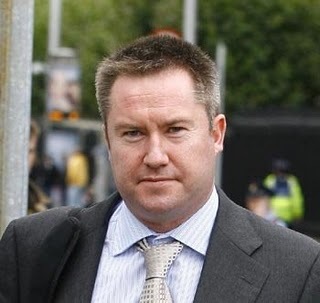 The former Irish Solicitor fled on the back of allegations that he defrauded multiple Irish banks of more than €80 million. 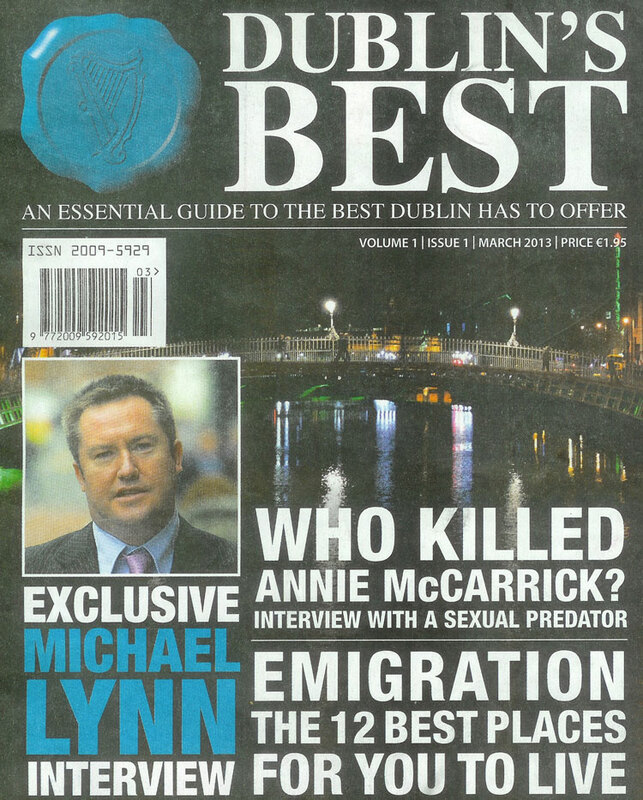 Interesting Interview with Michael Lynn conducted by disgraced former solicitor, David Elio Malocco, in Dublin’s Best Magazine which appeared in March 2013. 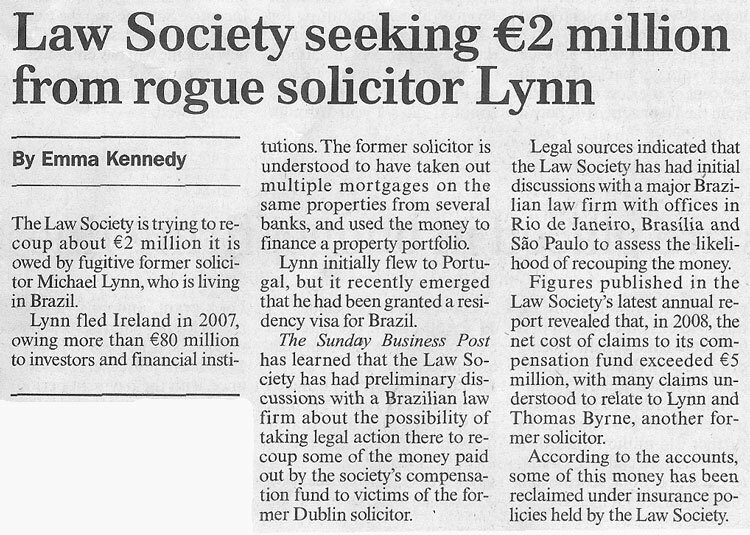 Michael Lynn to be Pursued by Law Society for losses accrued by the society following fraudulent activity by the former solicitor, now resident in Brazil. 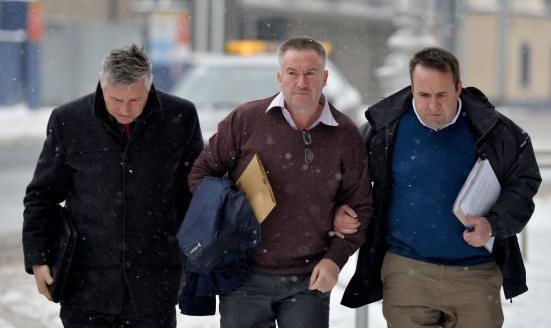 Lynn, has lost an apartment in the Cove Club Condominium, in Battery Park, New York having failed to keep up repayments on a US$345k mortgage with Deutsche Bank. 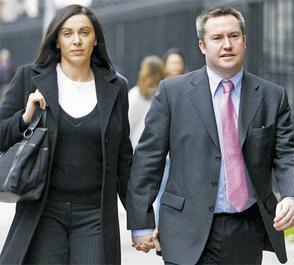 Michael Lynn, and his wife Bríd, became Brazilian citizens in June 2012. They have been able to do so on the basis that their son was born in the country.